October 3, 2008 marked the 5th year anniversary for the Sports Hawaii Ohana. In the past five years we have met so many new and wonderful people. We talked about everything under the sun but our main focus has always been UH sports. The reason SportsHawaii.com was created on October 3, 2003 was to create a community where sports fans from all over the world along with the locals here in Hawaii can interact with each other and talk sports. We wanted to develop a family oriented culture where we didn’t focus on all of the negatives by whining, complaining and bashing the players and coaches. Instead we would praise positive actions and be constructive when giving an opinion in a respectful manner. There use to be a significant difference between SportsHawaii.com Ohana and the other Wonderful UH fan communities (ie: WSN, The Warrior Beat/Tsaikos, UH Sports Extra/Dave Reardon’s Blog, etc.). This gave each sports fan an opportunity to find a home based on their view of what a true sports fan is. 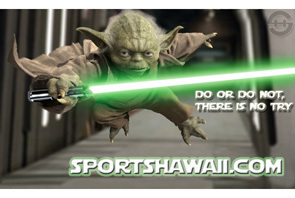 However, because of the recent growth of SportsHawaii.com our culture slowly changed. With so many new people joining daily it became difficult for the Ohana to educate the new members and give them an understanding of the culture that we developed over the years. With this being said we are finally releasing our mission statement and written rules that will be enforced with a warning/ban system. We are not doing this to single people out or chase them away, but to bring back the unique culture and specialness that we once had. Thank you. Sports Hawaii is dedicated to building a community of Hawaii sports fans, especially enthusiastic fans who support and enjoy University of Hawaii sports by providing 1) family oriented message boards for fans to support, share information about and discuss UH sports and to discuss non-UH sports and other topics, 2) opportunities for fans to network with other fans by coordinating tailgate parties and other events and 3) a friendly and generally positive environment which respects UH’s student athletes and their families, coaches, administrators and staff. Membership in Sports Hawaii is a privilege, not a right. The message board will be managed pursuant to the Sports Hawaii Mission Statement, the Message Board Rules and the preferences of those who devote the time, energy and money to maintain this website and sponsor activities for its members. If the culture of Sports Hawaii doesn’t fit your needs, we suggest you try one of the other message boards or blogs that might be better suited for you. 1. Respect. Members are obligated to be tactful and maintain a respectful demeanor and tone in all posts, especially towards each other and the University of Hawaii, its sports programs, administration, coaching staffs, student-athletes and recruits at all times. a)	No attacking other members. This includes calling them names, belittling them, bringing their names up in threads they did not start or were not involved in. b)	No attacking or bashing of student-athletes, coaches, administrators, recruits and their families. Please be mindful that they are members of our community and people too. Comments are allowed but that does NOT mean you have free range to bash or alienate a player, coach, administrator, recruit or their families with your comments. If you are unhappy with their performance, please voice your opinion in a respectful way and state why you hold that opinion. If it's something you would not say to their faces, then don't post it. c)	Trash Talking. Trash talking the University of Hawaii athletic teams will not be tolerated on this message board. d)	Do not post unsubstantiated rumors such as those of a personal nature. If you have heard something “from a friend of a friend”, this is not the website to post innuendo and rumor. e)	Privacy Issues. Please respect the personal lives of student-athletes, coaches, administrators and their families as well as other members, administrators and moderators. Discussions which are personal in nature are prohibited. Disclosure of the identity of or other personal information about other members, administrators and moderators is prohibited. a)	No defamatory, libelous, profane, threatening, racially hateful, abusive, harassing, insulting, hateful, offensive, vulgar, obscene or sexually explicit comments. This includes using abbreviations, acronyms or masks (i.e. changing a letter(s) of a swear word) such that the word(s) are still interpreted by most as profane. b)	No pornographic or obscene material of any kind. This includes materials within a signature file or avatar. a)	No repetitive or agenda posting (i.e. “Beating a dead horse”). If you come to the message board and consistently say the same thing about the same topic day in and day out, that is being repetitive and or having an agenda. No one is saying that you cannot express an opinion, but this site will not be overrun by the same people coming on the site day after day saying the same things or having an agenda. b)	No Trolling. Trolling is the posting of controversial, inflammatory, hostile, annoying, irrelevant or off-topic messages with the intention of provoking others into an emotional response, generally disrupt normal discussion or take away from the enjoyment of the site by others. e)	Redundant Threads. In the interest of keeping a tidy message board which is easy to read and have discussions, please do not start threads on subject which already has a thread. Though you're not expected to search exhaustively some effort is required. Redundant threads may be locked or merged into other threads. f)	No fishing. Do not attempt to trick fellow posters into posting their email address by promising the inside scoop on a situation. These poor attempts at humor are very disruptive to the board. g)	No Posting in ALL CAPS in an aggressive or negative manner. This is considered shouting. h)	No Sock Puppets. Sock puppets are the use of multiple usernames as a means of identity deception. i)	No dominating the conversation. Do not dominate the conversation, whether it is a single thread, or the overall conversation on the board for the day. A successful message board community involves give and take. 4. Contact with recruits and their families. The definition of “contact” is very broad and can include communication on a message board. Violations of NCAA rules regarding contacting recruits and their families can result in sanctions against the University of Hawaii. Since recruits and their families may be on Sports Hawaii, members of Sports Hawaii must be aware of the rules regarding inappropriate contact with recruits and their families. a)	For recruits and their families, please understand that while we would really like to get to know you and hope you or your sons and daughters decide to attend the University of Hawaii and play for our school, members of Sports Hawaii must be very careful communicating with you until you are enrolled in school. After that, we would really like to have the chance to get to know you as we have gotten to know many of our student-athletes and their families over the years. Families of players are regulars at our tailgate parties and we invite you to join us too. (e)	Have been involved otherwise in promoting the institution’s athletics program. 13.02.13.1 Duration of Status. Once an individual, independent agency, corporate entity or other organization is identified as such a representative, the person, independent agency, corporate entity or other organization retains that identity indefinitely. (2/16/00)"
Thus if you have ever been a member of a UH booster club or contributed to Koa Anuenue directly or through a “premium seat contribution”, you are likely a “representative of the institution’s athletics interest” and you retain that status indefinitely. So please be careful about any communication with recruits and their families. 5. No Advertising or Soliciting. Posting of commercial offers, competing websites, the solicitation of money or trade, or spamming of the board will not be permitted without the express written approval of Sports Hawaii. 6. Respect Copyright Laws. While we love it when people post quotes from articles and links to articles, we would greatly appreciate it if our members would not post whole articles in a thread. This mainly has to do with copyrights; if sites such as this deprive the producers of content of page hits, the entire concept of free content on the Internet is in jeopardy. Just post a link to the article, quote some pieces of the article and title your thread the exact same as the article. 7. Do not give out your personal information on the message board. Please keep in mind that whenever you give out personal information (such as your email, phone number etc.) online via message boards, that information can be collected and used by people you don't know. You give out your personal information at your own risk. We are not responsible for any actions that occur if you give out your personal information. 8. Generality of Rules; Subject to Change. These rules are subject to change, general in nature and subject to the interpretation of Sports Hawaii’s administrators and moderators to accomplish the Sports Hawaii Mission Statement and to maintain the culture of Sports Hawaii. Do not try to circumvent the rules. 9. Terms of service. Posted messages are the expressed views of the authors of the message and do not reflect the views of Sports Hawaii. Members maintain sole responsibility for the content of their posts and agree to indemnify and hold harmless Sports Hawaii and any of their employees, agents or representatives from and against any claim or action, including but not limited to libel and copyright infringement, resulting from the transmission of any message posted on Sports Hawaii. a)	Although Sports Hawaii may from time to time monitor or review message boards, discussions, postings, transmissions, and the like on the website, Sports Hawaii is under no obligation to do so and assumes no liability or responsibility arising from the contents of any such communications or for any defamation, error, inaccuracy, libel, obscenity, or profanity contained in any such communication. b)	Sports Hawaii may change, edit, or remove any user material or conversations that are illegal, indecent, obscene, or offensive, or that violate Sports Hawaii’s policies in any way. Further, Sports Hawaii reserves the right to remove or edit content from any message board at any time and for any reason although we have no duty to do so. Sports Hawaii will fully cooperate with any law enforcement authorities or court order requesting or directing Sports Hawaii to disclose the identity of anyone posting such materials. Sports Hawaii may also suspend or ban any user at any time for violations of Sports Hawaii’s policies. c)	Publically complaining about Sports Hawaii’s decisions regarding changing, editing or removing any user material will only result in further action. If a user would like to discuss any actions, please send a private message to an administrator. 10. Rule Violations, Warnings and Banning. Users breaking a rule will have their post flagged by a moderator or administrator. Flagged posts expire after a certain time period. Users who receive three (3) warnings within that period of time will be banned. In extreme cases, rule breaking can result in an insta-ban.